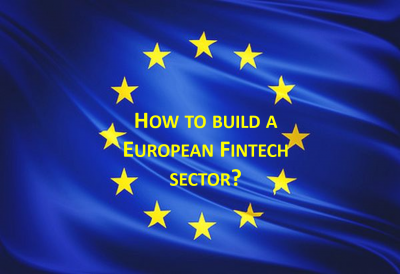 How to build a more competitive and innovative European Fintech sector? On March 2017, European Commission send a public consultation on FinTech to seek input from stakeholders to further develop the Commission’s policy approach towards technological innovation in financial services. All citizens and organizations were welcome to contribute. Financement Participatif France, the representative professional association of the crowdfunding sector, answered the consultation. Crowdfunding (financement participative in French) is an efficient tool to direct citizens’ savings towards financing the real economy. Based on the principles of proximity, choice, transparency and traceability, crowdfunding allows an optimum allocation of resources through an intermediary platform which investigates, analyses and rigorously selects companies’ projects before proposing to individual investors to finance them. For instance, in Europe, alternative finance experienced a booming growth of 92% and reached € 5.4 billion in 2015. In France, in 2016, nearly € 235 million was collected by crowdfunding platforms, a growth of 40% of funds raised in one year. Research by Massolution published in 2014 forecasted that worldwide crowdfunding will collect up to $ 1,000 billion in 2020. However, the development of the crowdfunding sector could be greatly supported at the European level through the setting of a harmonized legal regulatory framework. This European framework would ensure healthy and fair competition, protection of investors and issuers and fight against money laundering and terrorism financing. Adopted over the past three years in the context of the exemptions of MiFID and Prospectus directives implemented under the appreciation of each Member States, national regulations on crowdfunding generate distortions of competition on the European market and complexity for the platforms wishing to extend their services throughout the European Union. Thus, they make it difficult for investors and issuers to access the single European market for crowdfunding. For example, platforms in the UK are registered with the Financial Conduct Authority which authorizes them to conduct the Reception and Transmission of Orders (RTO), but not placement, and to promote financial products. Moreover, the suitability test performed with investors is a test of relatively light « appropriateness » and not of « suitability ». In Germany, the regulators who had allowed platforms to communicate about their activities and their projects only with economic media just enlarged this possibility to all media, provided that the information disseminated respects the principles of clarity and transparency. The crowdfunding intermediary (Intermédiaire en Financement Participatif (IFP)), supervised by the ACPR, for lending platforms and donation platforms or rewards-based crowdfunding – this statute hitherto optional for donation and rewards-based crowdfunding platforms has become mandatory since the end of 2016. Some 100 IFPs are listed in the Orias register . The Participating Investment Advisor (Conseiller en Investissements Participatifs (CIP)), supervised by the AMF, for the platforms intermediating specific financial instruments and minibons. Some 44 CIPs are listed in the Orias register. The CIP statute permits a prospectus exemption for fundraising up to € 2.5 million, but this threshold is raised to € 5 million if the platform is approved as an investment firm. If the French regulatory framework is particularly well construed for the advice and information of investors, it is finally less the case on two points: for the issuers’ protection and for the process of exercise of the platform activities. Besides, it fails to take into account the own specificities of an activity carried through an internet platform, notably the client relationship exclusively carried through digital channels, important number of clients for small individuals amounts, double client typology (investors and issuers), advice concept on numerous securities offers, etc. In the end, the freedom of appreciation granted to each regulator has led to an over-implementation of key directives and to regulatory jungle for the concerned actors to the expense of the consumers. The necessary rules to fight against money laundering and financing of terrorism. Ensuring the supervision of the national regulators through direct application. Currently, national crowdfunding regulations do not promote fair competition in the European market. In addition, the advent of Brexit calls for particular attention to be placed on future evolution of regulation in the UK. Europe needs to go towards a sectorial simplification and harmonization at the European level through the creation a common regime – based on a proportionality principle – to be directly applicable by the national regulators. Such European regulation would ensure the investors’ and issuers’ protection and the sector transparency, while remaining open to innovation. The Office de Coordination Bancaire et Financière (OCBF) is an organization that joins together 135 financial institutions, most of which are small and medium-sized French entities, subsidiaries or branches of major French or foreign groups.